Please find below our American Trade Newsletter #132, featuring companies and products from our client states of Illinois, Mississippi, New Mexico and Pennsylvania. All are looking for agents, representation or distribution in the region. (1432) Used Construction, Farming & Industrial Equipment. ►To receive additional information about these companies, please contact our office. We ask that you send us your complete company details when asking for information on the American firms. This will help us to have the US company to reply to you in a fast and efficient manner. A: Intake sections(s) with specified door installed on unit. B: Expansion sections(s) to make up balance of floor height. C: Angle iron floor brace(s) to support the chute. D: Rolling discharge door or hopper with door equipped with fusible link to close in case of fire. E: Full diameter vent to extend four feet above roof level. F: Sprinkler and flush head at the top of chute with additional sprinkler heads at every other floor. Additional items may be ordered such as Sanitizing Units, Access Doors, Electric Interlocks, Sound Coating and Isolator Pads. Chute components, which are available separately or in systems, include: Rubbish/ Linen Chute, Rubbish Intake Doors, Linen Intake Doors, Horizontal Rolling Discharge Door “HRD”, Hopper Discharge, Vents, Sanitizing Unit and other accessories. (1431) Encore (https://www.encorepack.com/) manufactures a range of hand packaging tools and equipment for the application of strapping, stretch film and other packaging consumable. 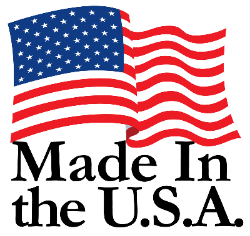 Most products are made in the USA and provide a competitively price product offering with the quality and durability of American Made Products. (1432) RE&M (http://www.resourceequipmentms.com) buys, sells, brokers and auctions a wide array of off heavy equipment, including Used Construction, Farming and different types of Industrial Equipment. (1433) VM (http://www.villamyriam.com/) produces a varied line of cold brew coffees and teas, as well as other blended teas and 100% Arabica micro lot single estate coffee from Colombia – roasted in Albuquerque, NM. Cold Brew Nitro is a process of extraction in which the coffee is never heated, it is steeped in cold water for a long period of time, then infused with nitrogen to create a very unique texture and experience. This Nitro Cold Brew has a strong front presence of chocolate, with toasted oat notes and a sweet molasses finish. (1434) CCP (http://www.colconkproducts.com/) is world renowned for quality, classic shaving supplies. CCP has a natural line of shaving products that includes pre-shave oil, shaving soap, shaving cream, aftershave lotion and a new arrival, natural beard oil. CCP recently launched its natural beard wash (shampoo, conditioner, infused with Argan oil). CCP is best known for their shaving soap, which is a great glycerin puck with traditional scents. They also offer a variety of sets, mugs, badger hairbrushes and combs. (1435) HG (http://www.hawkgrips.com/) are precision-engineered therapy instruments designed to detect and treat soft-tissue injuries. Treatment with their instruments results in an immediate increase in mobility/range of motion and a decrease in pain. HG instruments are designed to provide precise edges to detect and treat conditions such as carpal tunnel syndrome, lower back pain, joint sprains, runner’s knee, tendonitis and other conditions. The products aim to help enhance range of motion and promote faster rehabilitation and recovery. HG instruments are designed to provide precise edges to detect and treat conditions such as carpal tunnel syndrome, lower back pain, joint sprains, runner’s knee, tendonitis, and other conditions. The products aim to help enhance range of motion and promote faster rehabilitation and recovery. In order to receive additional information about any of these inquiries, please contact our office. You are also invited to send us product requests, for we can also attempt to source virtually any product from American manufacturers. We request you provide as many specifications as possible, for this will facilitate our search for you. This service is also free of charge concerning our American client states. If you should have any further questions, or if we may be of any additional assistance, please feel free to contact our office at Tel: +917.338.4911 or at e.mail: zuhana@atid-edi.com.